Spring is setting in and people start dreaming about spring cleaning and modernizing your home’s look. One of the busiest times of the year for home improvement stores is the spring! If you have stopped in lately and seen the price of exterior paint, you may be asking yourself why is there such a difference in price? In some cases, you can get a gallon of paint for ten dollars while further down the shelf it can cost up to forty dollars or more. Of course, if you buy paint in larger quantities the price difference can shrink. Is more expensive paint any better than the cheaper stuff? Let’s consider this more closely in this blog. There are several factors that influence the difference in paint prices. Research also shows that nearly every paint company makes paint that falls within the continuum of inexpensive to expensive, so the name of the company alone should not be your deciding factor. Paint is made of resins, solvents and pigments. The more expensive the paint the more pure and smaller the pigments. Pigments in the less expensive paints are of a lesser grade and spread out more which means the job will require multiple coats, so it is just as costly in the end. Too, the more expensive the paint the more likely the resin is of a higher quality which adds to the durability of the job. Lastly, the solvents in paint also vary according to cost with cheaper paints having more solvents that evaporate leaving the paint and resin behind when it dries. And the more expensive paints also have additives that help prevent painted surfaces from mildew. Experts also advise you to purchase paint that is one hundred percent acrylic. Why? Because acrylic paint is fast drying and water-resistant when it has dried. Whether you intend to do your own exterior (or interior) painting this spring, the best idea is to purchase the higher quality but more expensive paint. For all practical purposes, it will be cheaper in the long-run. And if you decide to turn the painting responsibility over to an exterior home painting company, be sure they use high quality paint as well. If you are looking for experts in exterior and interior home painting, contact the professionals at University Painters, Inc. We look forward to providing you with superior service. There are so many different styles of homes in the United States! People who live in certain locales tend to find them clustered. For example, if you live along the northeast coast you will find a lot of Cape Cod type homes. Floridians go for a more coastal look. In the Midwest there are blocks of Victorian homes mixed in with the colonial look, which, by the way, is a favorite style of Virginians. In Texas you’ll see lots of ranches. Yes, your home usually reflects the general style of the community. 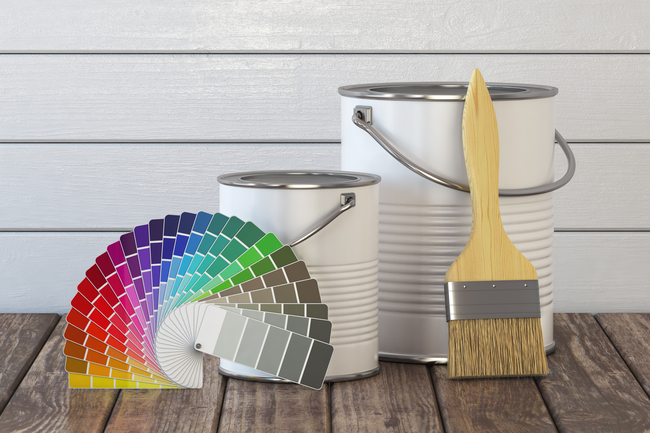 As a result, when it’s time to paint the exterior to give it a fresh look, the paint company you choose should know the best colors to accentuate your home. In fact, they should be able to assist in the decision-making process of color selection by offering suggestions based on their professional knowledge. However, here are a few recommendations that should help you start thinking about the right color for your home. If you own a home by the water, particularly the ocean or a lake, the best colors that blend with the environment are blues, grays and white. These colors help the house blend into the scenery using the water as a backdrop to tranquility. Interestingly, recent decorators suggest that a bright colored door can give the home a fun look. But, approach this idea with caution! A colonial home generally presents best with classic colors such as grays, greens, soft yellows, blues or the quintessential whites. Again, decorators in recent years have recommended a bright color door to offset the mild look of light colored paint. Take pictures of homes that have made that choice and think it over before using this idea for your own home. Ranch homes are one-floor styles of the 1950s. In their heyday they could be painted any color and often were! Today, however, they present best in muted tones of browns, grays, blues or even avocado. Bright colors are no longer acceptable. Finally, Victorian homes tend to look good in any number of colors, so you are able to choose a color that suits your personal taste. Don’t forget that the shingles, driveway and other accents of the home can be tailored to your style as well. Looking to redo your home’s exterior? Let the professionals at University Painters, Inc. provide you with exceptional service! There is no question that a freshly painted home has increased value and curb appeal. Even if you don’t intend to move and have only painted for your own enjoyment, there are additional things you can do that will further enhance the look of your home. Let’s consider some of these ideas in this entry. • Add a fence. Fencing can serve as an addition to the home while also marking the boundaries of your lot. Fencing comes in a variety of options such as wood or chain link and also comes in a variety of sizes that can allow for privacy and safety. • Add window boxes. They can be a bright and interesting addition all year round. You are able to put in seasonal blooms and decorations to brighten the home and make it more interesting and inviting to the passerby. 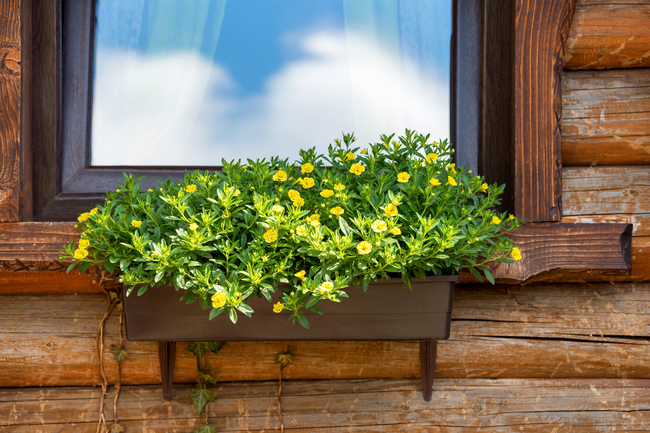 Window boxes also come in a variety of materials, many of which give the appearance of one material (such as stone) while being made of durable plastic. • Lighting. There are so many options to add light to your home! Solar lights are available that cost nothing except the initial purchase. They store their own energy and beam in the dark. Other lights can also be purchased to accent a particular part of the home such as entryways or windows. Lights come in a wide variety of colors and designs and add to the uniqueness of your home’s presentation. • Paint accents. Once you have painted your home’s exterior and have become accustomed to the new look this is the best time to decide if you would like contrasting colors for window panes and even your door. Many times contrasting colors gives a home a bit of spark and interest. • Don’t forget the hardware. Hardware for doors, windows, the garage and other appropriate areas can also make your home ‘sparkle’. Hardware can be fun or it can be used to subtly accent an area. • Consider a new garage door or redo the driveway. These are two parts of the home that can make a home stand out in a neighborhood. Garage doors can now be custom made and options for driveways are expansive as well. Let University Painters, Inc. give your home a professional coat of paint then you can add the extras! There are a wide variety of industrial, retail and office buildings that require regular repainting to keep the exterior looking fresh and inviting. This type of painting has different expectations than painting the exterior of a home. 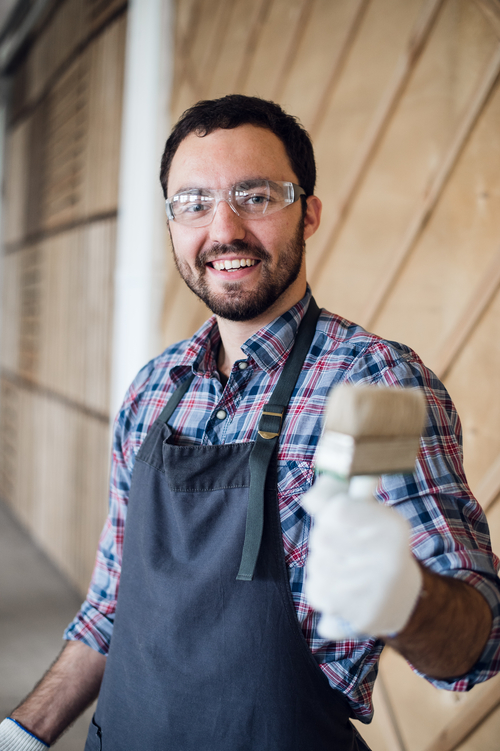 While both are important, if you are in the market for a commercial painter, be sure to ask for references to determine if they have completed any of the following types of jobs. Commercial painting is much different than house painting and you want to be sure the company you hire is up to the job! • Condos, apartments and HOAs. Commercial painting professionals know that the best time to undertake these projects is in the spring when there is a better chance of multiple days without inclement weather. April, May and June are great times for exterior painting of projects of this size. Your commercial painter should know that it is important for the weather to be dry over several days and that the forecast is for it to remain that way for the duration of the project. Water or moisture in the form of humidity or a high dew point can cause mildew, water rot, and paint failure. Commercial painters of large properties such as apartments or condo units begin by inspecting the entire property for any problems with the surfaces to determine if repairs must be made prior to painting. Next, the commercial painter should clean the surface using high pressured water. This should be done twice. The first time will loosen the dirt and impurities and the second cleaning will then wash them away. After this, repairs of cracks and removal of loose paint can be completed. Exteriors should then be primed. Priming acts as an initial coat for the walls. It makes the surface smooth and ‘stable’ before the paint is applied. In the end, a primer gives the paint a more polished look while also increasing the life of the paint job. The final step is to paint. Once this is done, the professional commercial paint company should do a complete and thorough walk through to ensure the job looks good from all angles. Commercial property managers should consider painting the exteriors annually. It keeps the property looking pristine and presentable and helps to maintain its value. If you are in the market for exceptional commercial property painters, contact the experts at University Painters, Inc. We’ve got you covered! There are several instances when the exterior of your home may require touch-ups. First, often when you paint your home you will need to go back and perform some corrective measures. That is because your home’s exterior is constantly in the elements and over time there are places where the paint may crack and peel. Even the best paint jobs will require touch-ups where the painter may have missed a spot here or there. In this blog we will tell you how to add touch-ups and how to fix those once flawless surfaces to make them look like new! So, you’ve just finished covering the outside surfaces of your home with new paint. You are sure you have done a great job but when you go back to inspect it, you see tiny spots here and there where no paint is visible. It is not something obvious, but you do want a perfect and pristine presentation. However, when your home was painted some time ago the approach to touching up the paint job is a bit different. First, over time the color of your paint will have faded from the sun, rain, snow or other weather the home endures. If you are not careful, the touchups will be glaring and actually makes the home look worse. First, make it an annual habit to do a complete walk around of your house, noting areas where the paint has cracked or is peeling. This is the first step towards touch-ups. While many people keep a bit of paint from the last time the house was painted it probably won’t match. It is better to take paint chips from areas that need to be reworked and have it matched at the paint store. Be prepared for some differences in color and do a test patch before completing the job. Finally, scrape, prime, and repaint those areas where the paint has been damaged. The job will probably take only a weekend but the results should last for the rest of the year. If you need professional outdoor painting, contact the experts at University Painters, Inc. We’ll be glad to provide you with a free estimate. The importance of a good exterior paint job on your home goes far beyond mere aesthetics. 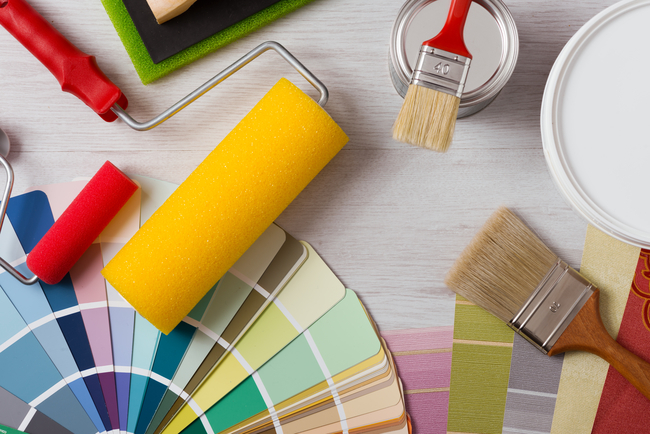 Of course you want your home to look good and stand out, without clashing with the rest of the neighborhood, but the value that a quality paint job provides simply starts here. By combining the proper materials with the correct techniques, your paint job can extend the life of your siding and trim, thereby increasing the value of your home. The experts at University Painters are always available to help make your home the nicest on the block. The first component of any quality paint job, or of any job for that matter, is using the appropriate tools. Good synthetic hair brushes go a long way, and to paint your house you will need a large straight-edged brush, as well as a smaller angled-edge brush, the smaller one being used for detail areas. You will also need rollers, and it is important to have a different roller for each different color of paint. Of course you will need paint, as well. Acrylic latex paint is ideal for exterior paint jobs because it holds up to the weather the best, thereby keeping your paint looking fresh year after year. One of the simplest, yet most important techniques when painting is to always paint into an area that has fresh paint on it, commonly referred to as painting into a wet edge. Use the door and window frames to help divide larger areas into smaller areas so that you can paint an entire section at once. This process is important because it help provide smooth and uniform color in each coat of paint. Other little things, like holding your paint can close to reduce spillage and dripping, and painting doors and windows first, are important to the process, as well. Reducing drippage is important not only to make sure that the paint stays where you want it to be, but also because drips do not dry smoothly. If they are not caught and fixed right away they can affect the outcome of your efforts. Meanwhile, you want to paint your doors and windows earlier in the day so that they have plenty of time to dry, unless you plan on leaving them open when you go to sleep. Closing windows or doors that are not fully dry can spread the paint to unwanted areas, as well as result in a tacky or sticky finish around the edges. A good paint job requires days of preparation before the painting can even begin. To do the entire job properly yourself, you need to be prepared to dedicate the better part of two months to the process. The skilled professionals at University Painters can complete the task in a fraction of that time, with a level of care and expertise that is unparalleled in the industry. The award-winning service provided by University Painters guarantees that your home will be treated with the utmost care and professionalism, resulting in a paint job that you can take pride in for years to come. For more information, to schedule an appointment, or to request a quote, please visit universitypainters.com. We have all seen that house on the block that stands out for one reason or another. Sometimes the house stands out because it is the only pink house in a neighborhood filled with muted blue and grey homes. There are also homes that are picturesque that stand out because the contrast from the white siding, to the red door, and black window frames are so aesthetically pleasing that we feel at home just driving by. In order to maximize the value of your largest asset, it is important to freshen up the exterior paint every few years. Sometimes a bold change may be in order, and other times a fresh coat of paint is all that is needed. Regardless of the reasoning, the professionals at University Painters are seasoned experts when it comes to all things about painting, and can not only provide the award winning paint job you are looking for, but make sure that you find the color scheme you desire. With spring right around the corner, it is almost prime painting season. The season, the style of home, personal preference, and frame of mind all come into choosing the paint color for your home. The most common colors chosen for exterior home painting are grey, black, and white. These neutral colors tend to blend into any neighborhood, and match any style of home. If you want to utilize your home’s design and help it to stand out, bolder color options are always available. Choosing a bold color to go with a neutral base can bring out all the beautiful details that are designed into your home, as well as show off a little bit of your personality. Purple, a color that is known to represent nobility, can be the perfect accent to a white home. Grey and white, combined with a little yellow have been known to add a subtle sophistication to a home. A bold red used as the main color of the house, accented by white and black trim and window panels can stand out in a manner that shows strength and confidence. For a calm, peaceful, and serene vibe, a mild green is a perfect color. The first thing that anyone sees when they pull up to your home is the paint job. In life you only get one chance to make a first impression, and the same is true for your home. As it’s the most valuable asset you own, it’s important to get a fresh coat of paint on your home every few years. In order to get the best possible results from your exterior paint job, there are a number of steps that must be taken before the first brush stroke. The professionals at University Painters are trained and skilled in all aspects of making sure your home makes the best first impression possible. Before you can begin to paint your home, you must first pick the color. It is important that you get an even coat of uniform color, so it is recommended to mix several cans of paint together before you begin. By doing this you can assure that all the paint you use will have the same hue and you can avoid any dark or light patches that may occur when going from one can to the next. Once you have picked your paint and mixed it, you can begin the exterior preparations. First you need to wash the home thoroughly. It is important to make sure that all dirt, mildew, and grime has been thoroughly cleaned off the house. Once the house is clean, any old paint that may be peeling needs to be completely scraped off. This is important because if your home is dirty or has peeling paint, then you are not applying the paint to the home, but on top of the filth and old paint. When this happens, the new coat of paint won’t adhere properly and can peel. After the house is completely clean, it needs to be thoroughly sanded. 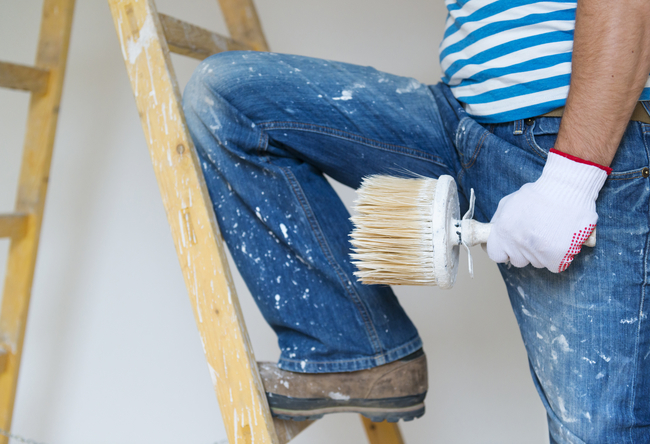 You want to make sure that your home is dull, smooth and dry before you start painting. The next thing to do is put down a primer coat. It is critical to put down primer before painting any surface. The award-winning experts at University Painters take extra care with every project they work on, and they are extensively trained in all the steps and preparation required when repainting your home. For more information, to make an appointment or to get a quote, please visit universitypainters.com. One of the nice things about designing and decorating the interior of your home is that you are not locked into one style. Because there are multiple rooms of different sizes, each room with its own special purpose and personality, you do not have to decide on just one or two color schemes. Another thing that is nice about painting individual rooms is that they are smaller. If you choose a color for a room then realize halfway through painting that the color just does not fit, it is an easy fix. There are a number of thoughts and tricks that come along with choosing the colors for the inside of your home, and the multi-talented professionals at University Painters are adept at helping you through the entire process. When choosing the colors for a room, your personality plays a large role. Some people prefer bright, loud colors, while others prefer more subtle and muted tones. No matter what you are feeling, the first step is seeing how those colors will look in your space. Get multiple samples and swatches of the colors you are interested in so that you can see how they look in your home. The bright fluorescent lights in stores make paint samples look different compared to the natural lighting from your living room window. Take your color samples, put them on the wall, and see how they look at all times of the day; morning, afternoon, and night. See how they absorb the sunrise and reflect the light of the moon. When you think you have found the color, collect multiple swatches of that color and tape them together on your wall creating a larger swatch. See what this color really looks like in your space. It is also important to test the paint on all of the walls in the room. The color will look different from different angles, and reflect light differently in certain areas. This will also give you the opportunity to test your color against different options for the color of your trim. 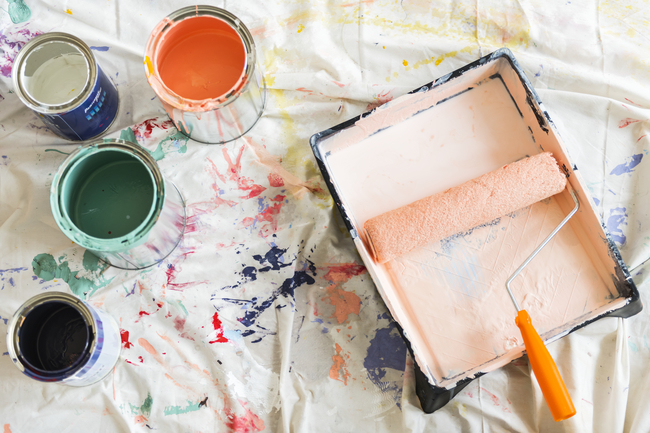 Decorating and painting the inside of your home can be stressful, so make sure to take your time and have fun with it. Play with different options and see what really appeals to you. You never know when the green you wanted in your bedroom may actually fit better in the bathroom. 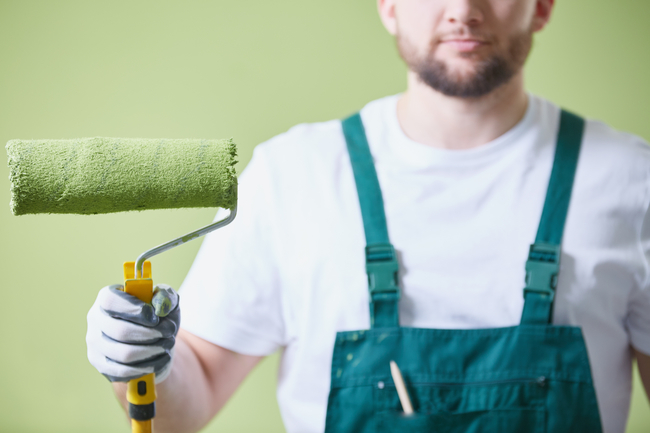 When you are ready to start painting, or if you need recommendations in choosing your paint, the trained eye of the staff at University Painters is ready to help. For more information, to set up an appointment, or request a quote, please visit univeristypainters.com.